Fat quarters are fun to collect, but even more fun to use in quilts! 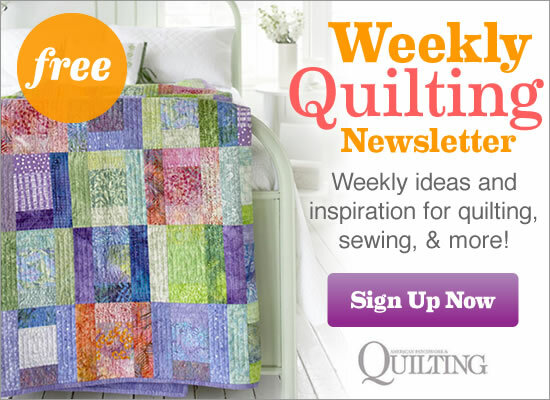 Get free quilt patterns to put your fat-quarter fabric to good use. Florals and solids combine for a stunning but easy-to-sew bed quilt. You can change the theme of the large rectangles—think plaids or reproduction prints—to customize for any room. This century-old quilt is a scrap-lovers dream. Use solid fabrics and vertical line quilting to add modern flair to a mini that mimics a barn quilt. A simple Pinwheel block is quite a star when it’s surrounded by multiple borders—pieced and plain. Make a quick-to-assemble patriotic picnic throw or cozy cottage twin-size bed quilt from your favorite scrappy assortment of red, white, and blue fat quarters. A small throw can add a dash of color to a room that has a neutral color palette. Alternate light and dark prints for a throw that takes it one step at a time. 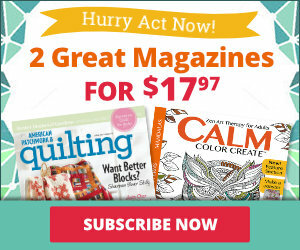 Time-saving strip piecing and fat quarters makes it easy to complete a Four-Patch quilt. Add fun and fuction to a stroller-size quilt by sewing ribbon and rickrack loops into the blocks. To get the scrappy look of this quilt in a speedy way, invite your friends over for a house-block quilting party. Serve up a delightful asymmetrical quilt by wrapping a helping of Broken Dishes blocks with appliquéd and pieced borders on just two sides. Combine a variety of pastel fat quarters in Floating Star units to make a sweet lap-size quilt. A range of blues and grays, gradating from light to dark, produce the look of waves on a stormy night. Pairing blue with gray instead of white puts a twist on the classic two-color combination. Making Necktie blocks is much easier than you may think, especially with this fool-the-eye trick for easy piecing. Bright print squares alternate with Four-Patch blocks in a cheerful table runner. Create subtle shifts in color with ombré fabric. The large pieces allow you to utilize the gradient effect and to see the shade changes in each fabric strip. Build your color confidence by mixing fat quarters in a variety of hues. Include a few lighter and brighter fabrics to add sparkle and keeps the eye moving around the quilt. Use the same cream print in alternating squares to balance a variety of florals and dark prints. While the finished wall hanging offers plenty to look at, it isn’t overwhelming. For a traditional look, use only two prints for each Broken Dishes block. Simple squares and curved appliqués in bright fat-quarter prints pop off a coordinating solid to create a dynamic wall hanging. Colorful batik lanterns shine bright against a dark blue batik sky in this beautiful wall hanging. Make a scrappy yet orderly quilt using aqua, lime, and cocoa print fat quarters. Aqua tone-on-tone sashing and binding tie together the fabrics. Use more than 30 fat quarters when you stitch this cozy throw and coordinating pillows. 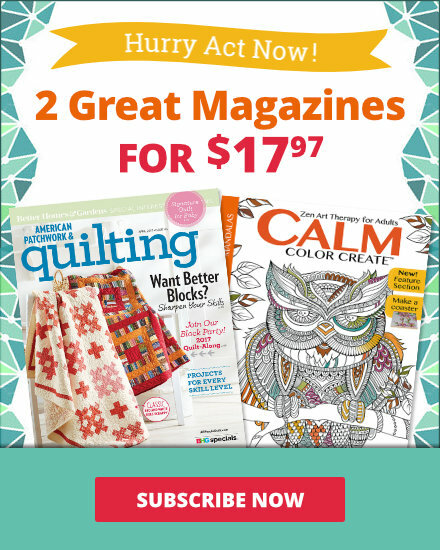 This time-saving quilt involves just five rows of multicolored rectangles finished by long sashing strips and a border from a single novelty print. Don’t spend time searching for your pincushion. Make a jumbo, tufted cushion in bright, lively prints and finding it will be a cinch! Cut rectangles from floral fat quarters and join them with solid watermelon pink strips to create pieced rows. Whip up a two-color table mat using six fat quarters. Embellish pieces of bright fat quarters with rickrack for a square patchwork pillow. Four-Patch blocks and setting squares team up for a fabulous square table topper. Whip up a reusable gift bag with just two fat quarters. Make bags for holidays, birthdays, or any time of year! Use a restful aqua check to complement the strong contemporary colors—blue, green, and chocolate—in this easy quilted throw using fat quarter pieces. Use fat quarters to make two matching scarves in stylish colors. Stitch a fall theme table runner and trio of stuffed pumpkins for easy fall decor. Large-scale prints in an old-world color scheme are a perfect fit for Snowball blocks. Cranberry reds, sage greens, and rose petal pinks combine with a range of neutrals to create an appealing pattern in this simple bed quilt. Rich black tone-on-tone background fabrics let lively Four-Patch units sparkle in this Amish-look quilt. Make a two-color wall quilt featuring lamp-shape appliqué pieces. 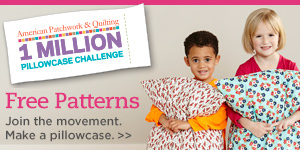 Combine assorted florals, stripes, and dots to add pizzazz to the quilt center. Use fat quarter fabrics to create a cheerful cheerful holiday wall hanging quilt with festive appliquéd blocks and a pieced border. Use fat quarter pieces and printed panels to create a handy hanging organizer for your sewing room. A fussy-cut panel section is centered on the front of each storage pocket. Add fun and function to a stroller-size quilt by sewing ribbon and rickrack loops into the blocks. These easy-to-sew bags are great for using as a lunch sack or as a reusable gift bags. Make a gardenlike quilt using Nine-Patch blocks and 9-1/2 inch floral setting squares. Use a variety of fat quarters for a scrappy look, or use fewer fabrics for a controlled look. Stitch two fat quarter pieces into a quartet of mini totes. These wee gift bags have grosgrain ribbon handles. 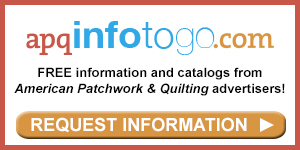 The versatile Four-Patch is a basic block for both new and experienced quilters. Gather a variety of batik fabrics and test the accuracy of your 1/4-inch seams on an easy table runner. Pieced and plain borders frame small and large Pinwheel blocks in a fat quarter-friendly quilted table topper. What Are Fat Quarters and Fat Eighths?